Damaged belongings. Destroyed drywall and weakened support beams. Messed up carpet and cracks in the foundation. These are all hallmarks of water damage. When a property is struck by water damage the impact can be large and in some cases it can be long-lasting. That’s why as soon as you are aware of water damage to your property you need to call the water restoration experts at 911 Restoration of Phoenix so you can get ahead of the game. Besides the destruction that water in itself can cause, it also makes a perfect breeding ground for mold if it has not been taken care of soon enough. Rotting wood, crumbling drywall, and a strong odor are just some of the signs noticed with a mold infestation. In addition, mold can also have an effect on a person’s health as well. 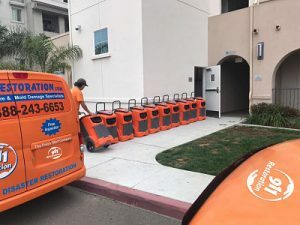 If you suspect mold or have identified mold don’t hesitate to contact our mold removal experts who will arrive within 45 minutes of your call to begin your mold remediation. We operate with a localized approach so no matter where in Maricopa county you reside we guarantee to be there within 45 minutes whether you are in Aguila or Tonopah. Being the owner of a property can be very rewarding and offer a sense of accomplishment and pride. It can also offer a headache and complications that have to be addressed. That is why we make sure that you are supported through the entire water restoration process. After making your call to us concerning your water damage, your first step is to get the source of your water damage stopped. Day or night, we are ready to assist you by operating on a 24/7/365 basis. Everyone on our crew is licensed, insured, bonded, and IICRC certified. Once you have approved of our water restoration plan, we get to work so you can get back to regular life. We use the latest water extraction techniques to make sure your property is completely dried out without any chance for mold to grow. It only takes 24 hours for mold to grow, so we work quickly to make sure we beat the clock for you. Regardless of the type of water damage you have, we are fully equipped to handle your emergency restoration. Even the best efforts can fail in preventing mold from growing. It only needs a little bit of moisture in a dark environment. That’s why locations like basements, attics, crawl spaces, and air ducts are perfect breeding grounds for mold to grow. The longer the mold has to grow, the more damage to your property and health it can deal. That’s why if you suspect mold, don’t wait. Call the mold removal experts at 911 Restoration of Phoenix who will begin your mold remediation immediately. The first thing we do once you have signed off on us beginning our work is to quarantine the area. Mold spores can travel through the air, which can get into your lungs as well as foster new breeding grounds. To ensure our effectiveness, we only use the best equipment and latest techniques for your mold removal. Between vapor barriers and other measures for containment we have your mold removal in hand while protecting your health. At 911 Restoration of Phoenix, we are ready to assist you with all of your restoration needs. 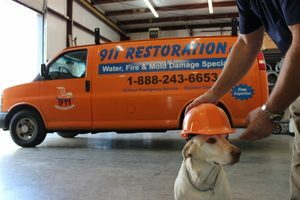 Whether you need us for water damage, mold removal, or even fire damage restoration, we got your back. We believe in combining unparalleled availability with the best in training and certification to serve our Maricopa county residents. Proudly serving Maricopa County, Aguila, Arlington, Buckeye, Carefree, Centennial, Fountain Hills, Glendale, Goodyear, Morristown, New River, Peoria, Phoenix, Scottsdale, Surprise, Tonopah, Wickenburg, Wintersburg, and the surrounding cities.